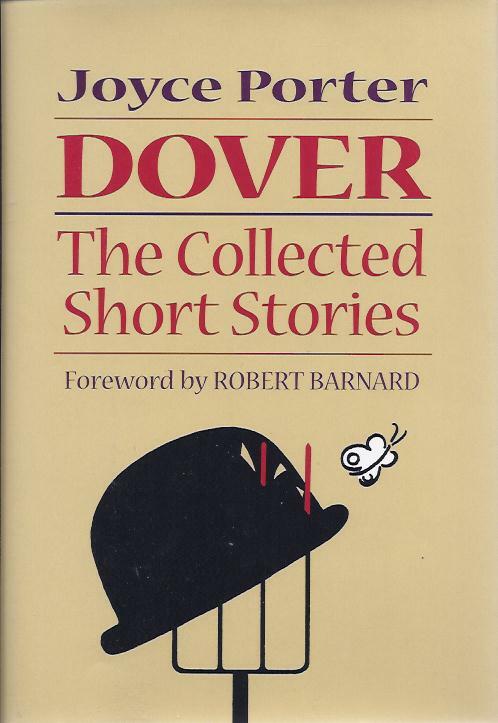 Dover: The Collected Short Stories (1995)--a volume which collects all the short stories, originally appearing in Ellery Queen's Mystery Magazine between 1968 and 1995, concerning the detective deeds of Chief Inspector Wilfred Dover and his assistant, Detective Sergeant Edward Thomas MacGregor--is still in print. You can buy it on Amazon right now, if you want, for $19.95 in paperback (this was the original price for a hardcover edition), as well as any of the later half-dozen of the ten Dover detective novels. the end of the "Great Detective"
Is it really a forgotten book then? Well, in sales on Amazon it's at nearly three million in rank, so it's not exactly on everyone's lips at the moment, evidently! I think it could use a little publicity, and that it certainly deserves such--it's a very good collection of short stories. The odious "Wilf" Dover may represent the end of the Great Detective tradition in classical detective fiction, but the eleven stories in which the old oaf appears are, for the most part, fine examples of the fair play mystery, filled to bursting with ribald humor. 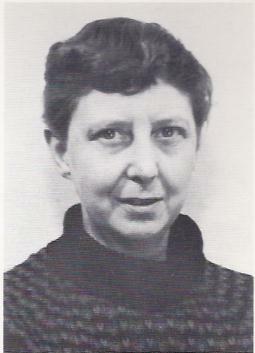 In the hands of Joyce Porter (1922-1990), then, this is the way the Great Detective ends: Not with a bang but a snicker. A Foul Play Press Book, published by the Countryman Press of Woodstock, Vermont (they also have published Robert Barnard and Phoebe Atwood Taylor), Dover is the definition of well-packaged book. Included is a typically insightful foreword by Robert Barnard and a delightful and enlightening afterword on the life of Joyce Porter by Canon J. R. Porter, the author's brother. Anyone familiar with Robert Barnard's own detective fiction will not be surprised to learn that he is a great fan of Joyce Porter. Barnard greatly admires Porter as a satirist and farceur. He notes that Porter's most famous fictional creation, the odious and disgusting Chief Inspector Dover, can be seen as a send-up of the English gentleman detective figure so prominent in the books of three of the British Crime Queens, Dorothy L. Sayers, Margery Allingham and Ngaio Marsh and an ironic commentary on the British police from the 1960s onward (the first Dover novel was written in 1963 and published the next year). "Even the most cautious and conservative of us, if we were reading a Dover in bed and thought we heard noises downstairs, would think twice before reaching out to dial 999," declares Barnard. So true, that! I would also add, however, that Dover is a the lowest possible devolution on the scale of fictional English police detectives. Going from Freeman Wills Crofts' Inspector Joseph French (1920s-1950s, decent and virtuous to the point of blandness) to Leo Bruce's Sergeant Beef (1930s-1950s, a bit "common" and vulgar, but quite personable and appealing) to Joyce Porter's Inspector Dover (1960s to 1980s, thuggish, lazy and squalid) is a steep decline! With Dover and his assistant, Sergeant MacGregor, Joyce Porter seems to me to replicate Leo Bruce's Sergeant Beef-Lionel Townshend relationship. Both Townshend and MacGregor are rather genteel but feeble English public school products who look down their noses on their partners in crime fighting (in MacGregor's case quite justly), but are themselves unable to provide an effective alternative. Of the Dover novels, I would argue that the Big Three are the first three, Dover One, Dover Two and Dover Three (1964/1965/1965), written in a great flash of inspiration in a matter of months in 1963 (rather like S. S. Van Dine's The Benson Murder Case, The Canary Murder Case and The Greene Murder Case). Barnard is a great admirer of Dover and the Unkindest Cut of All (1967) too, but I think the joke in this one has lost its novelty today. 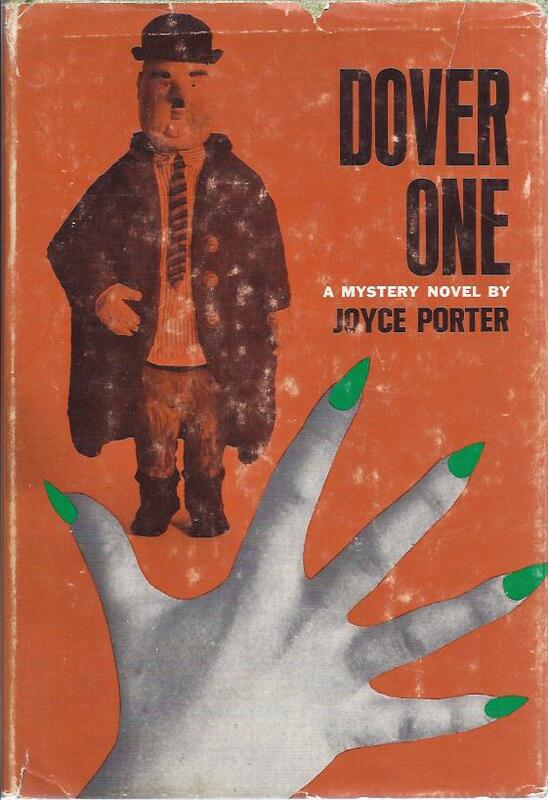 The next Dovers, Dover Goes to Pott (1968), Dover Strikes Again (1970) and It's Murder with Dover (1973) are good, but not up to the earlier standard--and Dover seems to get more disgusting with each book! Of the last three Dover novels, I would recommend only Dead Easy with Dover (1978), which has a strong plot. What's impressive about most of the Dover novels is that besides the humor, they usually do have good puzzle plots. The same is true of the stories. These are meaty tales, with substantial plots and lots of humor. Generally, Dover and MacGregor will arrive on the scene of the murder, Dover complaining all the while, because work is anathema to him. Dover will look for the most comfortable chair and start a snooze. Eventually he will expect to be provided with cigarettes and drink. He will spend a considerable time in the bathroom (bowels trouble). Then he will start looking for small articles to nick. After that he starts thinking about lunch. Somehow (this must have taxed Porter's ingenuity greatly) he usually does manage to solve the crime, however! Arguably the two best stories in the collection are the first two, "Dover Pulls a Rabbit" (1968) and "Dover Tangles with High Finance" (1970). 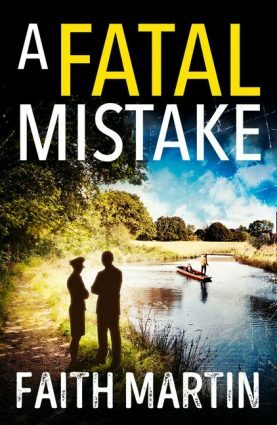 The first is a cottage murder, which Dover is able to solve through one of his actual areas of expertise (read the story and find out which). The murder victim is a Miss Ebbitt, whom Dover keeps calling "Miss Rabbit"--hence the title of the tale. Dover rarely can be troubled to remember names, dubbing suspects with such titles as "What's-his-name" and "Who's-your-father." The second story is a clever corporate poisoning case, again solved by Dover through one of his little vices. "Dover and the Dark Lady" (1972) is good, but has a solution that, while possibly outre and surprising then, stands out a mile today. In "Dover Does Some Spadework" (1976) Dover has to tangle with Mrs. Dover--a fearsome antagonist. "Dover Goes to School" (1977) and "Dover and the Smallest Room" (1979--yup, Dover's knowledge of the bathroom is very important here) also are absolutely tops. The only dud in the lot is the last tale, "A Souvenir for Dover," (1985) which actually is a reworking of a 1981 Dover story. Not surprisingly, Porter retired from fiction writing at this point. She devoted her last years to researching and writing a biography of Grand Duchess Elizabeth (1854-1918)--a much more serious topic! I would recommend the Dover stories (and most of the novels) to fans of classical detection who have strong stomachs for a "Great Detective" who isn't so great. Oh heck, he's downright narsty! Dover is one of the most irritating characters even invented. I like the Dover books and stories, but a little goes a long way! I have this one in the hardcover, and the first 6 or 7 novels in paperback, but admit I have read only this collection and two of the novels. I keep reading that Dover is irritating. I wonder if he is anymore irritating that Roger Sheringham or Philo Vance. I've always had the feeling that he's the detecitve fiction equivalent of Ignatius Reilly and that I'm going to enjoy reading about his obnoxious, vulgar, borderline misanthropic antics. I found a slew of the Dover novels at a used bookstore last year and bought them all. I intended to do a piece on him in the fall. Once again - beaten to the punch by a fellow vintage mystery blogger. Dover's more disgusting than Roger and Philo, that's for sure! 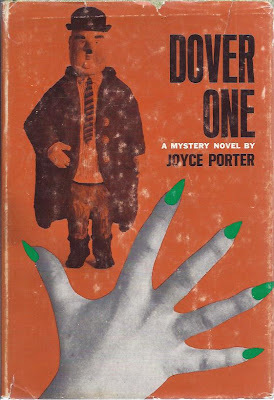 But, you know, Porter actually wrote some of the best English fair play mysteries of the 1970s and 1980s, which tends to get obscured by Dover's outsize personality! I'd go ahead and blog on Dover if I were you! My blogging on Winifred Peck and John Rhode certainly hasn't stopped Martin Edwards (who usually seems to disagree with me even!). Richard, which two novels did you read? I think the first three are the best. I read the first two, always try to read series in order, even if they can stand alone. Hi Curt, I'm surprised you think I usually disagree with you. It really isn't so, you know! (Though it would be a dull world if we all held exactly the same opinions anyway.) I like the early Dovers too, by the way. the first one has that clever ending, which is hard to top, but the second I thought really quite good too. I agree with you, we certainly can't agree all the time! In a case like that of Joyce Porter's Dover I can see how there would be disagreement. I hope John does his own piece, I would be eager to see what he thinks. Thanks Sergio. That episode apparently is an adaptation of Dover 2, one of Porter's best novels. Such fun, friendly & late night comments here! You've got me even more interested in the Dover books, as I listen to a BBC dramatisation. Many thanks for the informative entertainment! Dover remains one of my favorites, the barstard!